Looking for someone who can put together that perfect wedding or corporate event? PartySlate (www.partyslate.com)--which is backed by a slate of LA area investors--offers up a place to browse photos on events, find venues, and most importantly, planners who put those events on, so your next big event can be an unforgettable one. We spoke with Julie Novack, the founder and CEO of PartySlate (www.partyslate.com). She told us about why so many Los Angeles investors are supporting the company and gave us an overview of what PartySlate is all about. Julie Novack: PartySlate is really the place where leading event professionals and venues can share their work with the world. Unlike Yelp and listings sites that are focused on user-generated reviews or things like that, we're really a portfolio sharing site, and a tool of professionals. People who are researching weddings and other events can come to PartySlate, and see these beautiful photos, and if they see photos they like, they can contact the local event professionals and venues in those photos. We're focused on larger scale events, not do-it-yourself type events, and we're really for people planning large scale events, looking for ideas, and who are looking for a professional to help them. Why did you create PartySlate? 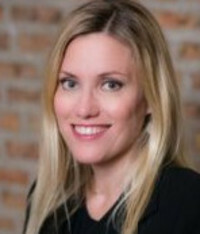 Julie Novack: I have a digital agency background, and used to run a digital agency in Chicago. I was at Razorfish, which has an LA office, and was in LA a lot. In doing so, I did a lot of corporate events. We were doing recurring parties, client events, and I was also on three charity boards, where we were always running galas and fundraisers. Being a digital person, I kept looking online for new ideas. I'd see these wedding blogs, but I thought, there has got to be more. I went to Pinterest, and saw some nice photos, but couldn't the source of who did those photos. About five years ago, I had a chance to use Houzz, which I'm sure you've heard of. It has a $4 billion valuation, and it allows home décor professionals to share their world. I said, that's what we need for the event industry. That's how I came up with the idea. I tapped my co-founder, John Haro, who I worked for at Agency.com, and at another mobile marketing company, and we talked about the idea, ideated, and I brought him on as co-founder. How is it you have so many Los Angeles investors? Julie Novack: Originally, I was connected with Randall Kaplan, the co-founder of Akamai. He's based in LA. I went to Michigan with him. He and I connected, and walked through PartySlate and what we were doing, and he immediately said he wanted to invest and become an advisor to the company. He introduced me to Wavemaker, also in LA, and also Halogen Ventures, which is led by Jessie Draper, which invests in women-run technology companies. Why do people come to PartySlate, and explain more on why they use your service? Julie Novack: When people come to PartySlate, they know they will find a curated set of beautiful events, posted by top event professionals from across the country. They know that every photo will be linked back to the caterers, planners, design companies, and venues that produced the events. That's something you just can't find on Pinterest and other sites. If you wanted to look for LA venues on Pinterest, you'd end up weeding through lots of stuff that is hard to find. On PartySlate, you can easily go find a venue for 150 people, and see a curated set of beautiful venues in LA. What's the toughest part of this business? Julie Novack: I think the toughest thing, is there is so much opportunity, we really have to focus and make sure we don't get distracted trying to do too much, too fast. We'd like to be in every city by the end of the year, but we realized we needed to narrow it down to the top 10 metro areas, and make sure we are pulling the right triggers, and really create our city playbook. That is all gearing up for a Series A funding, which will happen in the summer of 2018. What's the biggest lesson you have learned so far in starting this up? Julie Novack: The number one lesson learned, maybe it's obvious, is you need to have your technology in house. Do not rely on contractors, don't rely on digital agencies, or small shops. I feel strongly, that if you're going to do this, you need to be technical, or have a technical co-founder. It doesn't need to be a 50-50 split, and it could be another arrangement, but you need a well-rounded, leadership team. Number two, it's really important that you focus your strategy on a very small niche of a market. If you try to do too much, and you try to be all things to all people, you will not be able to super please any group of people. We have really stayed focused on the larger scale events, and not do-it-yourself events, not that Happy Hour on Thursday, but larger events. The last thing, is you really need to understand what your business metrics are, and make sure you are looking at the most important metrics. Don't be enamored with vanity metrics like for us, growth of photos. You have to have your focus on the business metrics, which are not just important to you, but important to your Series A funders. What we're doing now, is creating our Series A deck, and one of our mentors, Sam Yagan of Match.com has advised us, is you need to think what you want your Series A deck to look like well in advance, 9 months or longer ahead, and start meeting with potential investors well before then to ask them if they'd invest if they saw these things in a company like PartySlate. Finally, what are your next plans? Julie Novack: Chicago and LA are our next big prioritise. As we mentioned, we have Mindy Weiss, a celebrity party consultant who has done work for the Kardashians, Real Housewives, and Bachlorette join our board. She's helping to get the word out. Our next big city to launch is Dallas, on October 3rd, and New York in January. We have professionals in 40 states and 13 countries, but we only have a real concentration of pros in Chicago, Los Angeles, San Francisco, Dallas, and New York. Our next big move over the next 18 months, is really to concentrate on the cities where we have a number of professionals, so we can make sure we get a great user experience. We don't want you to go to a site and have only a selection of two planners. We want to have lots of selection and choice. In LA, we have close to 400 professionals on the site, in Chicago, 800, and in Dallas, 200. It's really about bringing professionals on board, with a free listings and free portfolio page, similar to Houzz. How we make money, is we'll let them elevate their presence on the site, like paid search or a Yelp listing, so that you would pay anywhere from $200 to $400 a month for an elevated presence.